I love fruit snacks but hate how unhealthy they are. They are usually filled with sugar and tons of artificial ingredients. The problem is that they are very convenient. 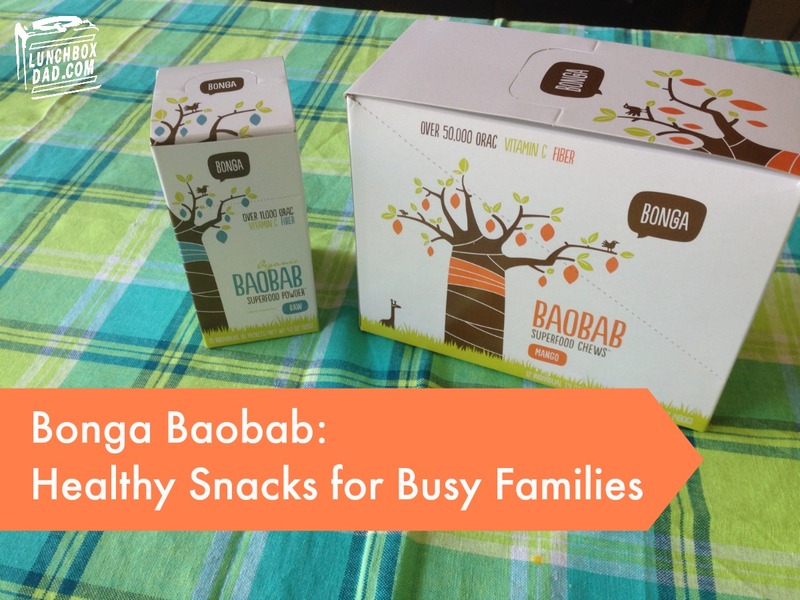 I might have found a good solution to this snack problem with Bonga Foods Baobab Superfood Chews and Superfood Powder. 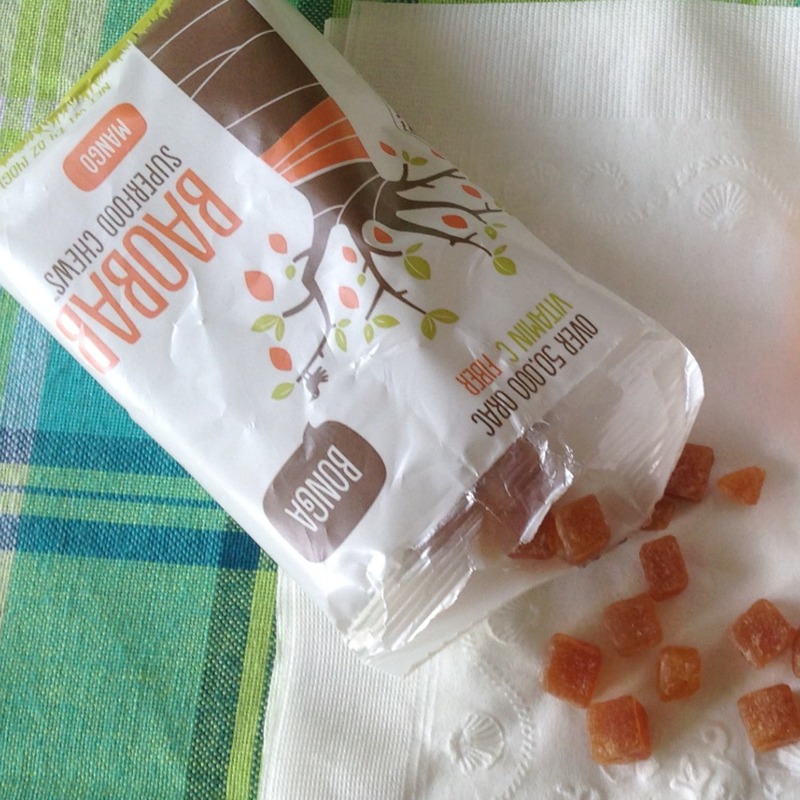 "Harvesting the baobab fruit not only creates delicious, healthy products, but also nurtures local communities by providing sustainable income for women in southern Africa and protection of the ancient trees. We believe in the power of sustainable harvesting and giving back, which is why 10% of all Bonga profits go to the foundation we have set up to further this cause." You can learn more about this on the Bonga Foods website. The Superfood Chews come in Strawberry, Raspberry, Mango, and Pomegranate. They are shaped like little squares, so you won't get cartoon characters, but you will get fruit snacks that are high in flavor. Our favorite has been the Mango. I opened up a package and let my picky-eating son taste test them. He ate a few and came back in a few minutes asking if he could have the whole pouch! To see how I used these in our school lunches, check out my Woody Woodpecker Lunch and my Super Squirrel Lunch. Bonga also makes Superfood Baobab Powder. It comes in only the "raw" flavor. They give some suggestions for what foods to try it in. First, I mixed it with my Greek yogurt. It didn't taste bad, but I probably should have used half the pouch because the mixture became a bit dry. I also tried it in a bottle of water and wasn't impressed. It was a little bitter and overpowering. However, I don't normally mix anything with my water, so if you do, you might enjoy it. The last way my family tried it was in a fruit smoothie. I thought that was the tastiest way to use the superfood powder and my kids loved it. I would definitely mix it in with our smoothies again. Overall, I thoroughly enjoyed the chews but could go either way on the powder. I do love what Bonga is doing in using sustainable practices for workers and making their food healthier as well. Find out more at www.bongafoods.com. The Bonga Moms love Lunch Box Dad!